Our range of Steel Alphabet Letters is being utilized by clients all over the country. Offering customization in accordance with the specifications provided to us by our clients, we make available for them a variety of letters in steel and acrylic. We can manufacture these letters in alphabets as well as numerals. Get access to the complete range of Stainless Steel Alphabet and numerals at our one-stop destination. You can also get stainless steel alphabet in different language as per the drawing. The length and size of the alphabet depend on the requirement. Ideal for placing on the facade of villas and bungalows, this Flat Alphabet ensures fine selection of superior finish. Inherently rust proof, each numeral is sturdy and excellent in design. You can mix and match these numerals to create an eye catching, quirky facade or you can use the similar finish to lend a more abstemious, dignified look. 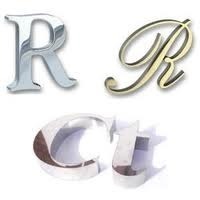 We are successfully meeting the requirements of our clients by offering the best quality range of SS Letters. 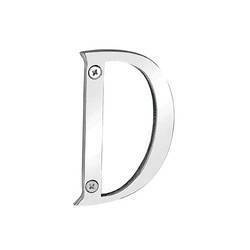 We are a leading manufacturer of Stainless Steel 3D Letters in Delhi - NCR . We offer our products under the brand name" Promote India".